Steffen, Head of Production at Strøm, takes the STRØM lightbox for a dance at the Riotville rave at Strøm 2017. I have been fortunate to be the photographer for the electronic music festival Strøm since 2012 and it is by far my favourite festival in the world. Not only are the events awesome, innovative and unique, the people behind the festival are truly wonderful. 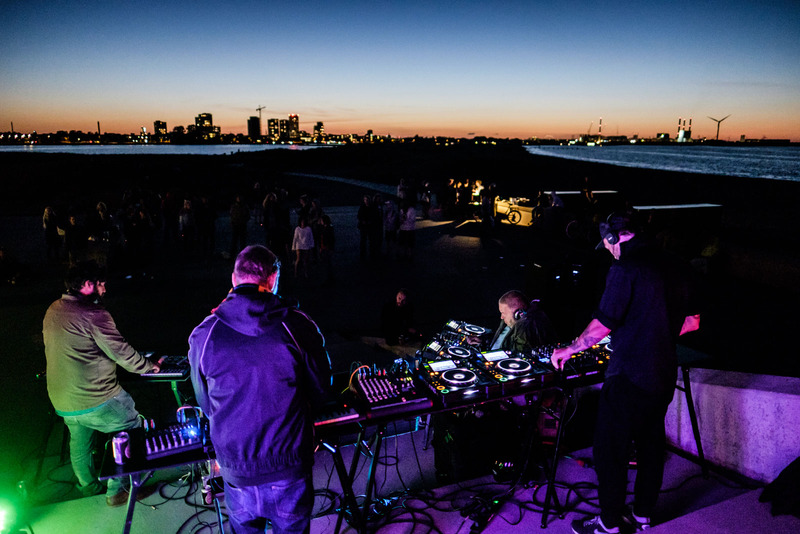 Strøm is a festival like no other, using places and spaces in the city of Copenhagen and Frederiksberg as a venue (everything from metro trains to underwater aquifers) to showcase quality electronic music and at the same time having an education component. Back in 2014, I came up with an idea of creating a Strøm Fototeam in line with Strøm’s already existing educational thread for electronic musicians. The Fototeam would of course not learn to make music, but learn to make pictures and tell quality stories from electronic music events. It is no secret that I feel the pictures from electronic music events in particular often could be better. I love electronic music and I have been part of the scene since the mid 90s (read more in Dreaming Out Loud – how I got started). 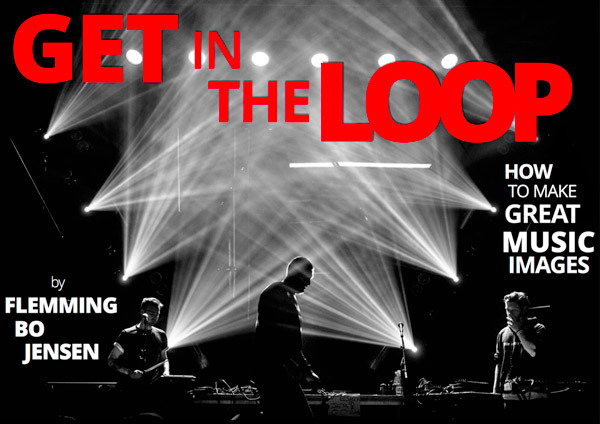 I am dedicated to try and raise the quality of the stories – in my case the photos – told from electronic music events. 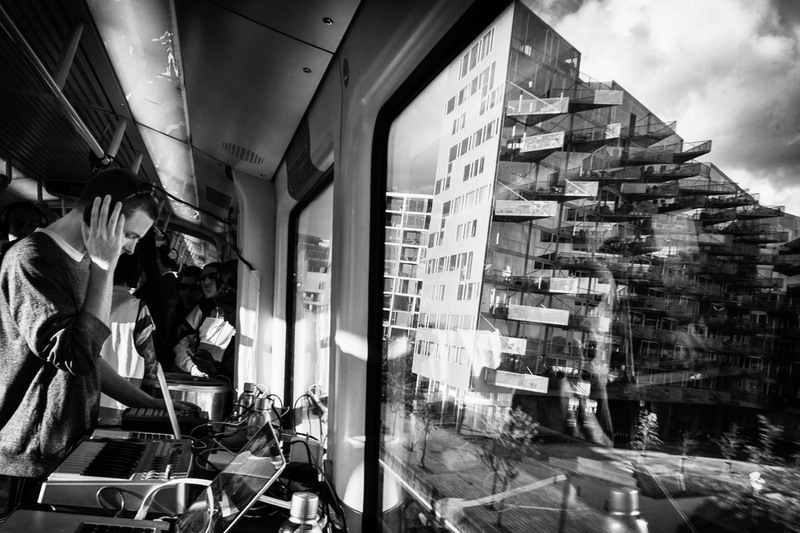 Trans Metro Express, a live eletronic concert on a moving Metro train – and a Strøm classic. This is from 2012, one of the first pictures I ever shot for Strøm! It took a bit of time to implement the concept and get the budget for it, but at Strøm festival 2016 we launched the concept! I am now the proud and happy old grumpy Editor and Manager of the Strøm Fototeam, and we just finished year 2 at the Strøm festival 2017 earlier in August. Both last year and this year we did an application round where photographers could apply to be part of the team. I asked every applicant to not only submit a portfolio of pictures but also a short text about what in music and photography that inspires them, and I really loved reading all of those essays. Music is such a powerful thing, it touches people in so many ways. The team features a group of volunteers and a few professional photographers, myself included. The only difference is of, well obviously, the pros get paid for the gigs they do because for some of the high profile gigs we need to know 100% that we will get great shots and have them ready the next morning, whereas the volunteers are always more free to experiment and learn. Everyone is an equal part of the team, everyone gets to enjoy the same bad jokes from me! These are some of my goals for the Strøm Fototeam. Learning experience for the photographers. For most photographers, it is a different experience to shoot a festival like Strøm, an electronic music festival that uses the entire city as a venue, gives you full access but also requires a much different storytelling to the standard 15 minutes in a photo pit at “normal” festivals. Learn about electronic music itself. There are a million different genres and types of electronic music and Strøm showcases quality artists that create something very special. And also, we bring in legends of the genre to play that occasionally my young photographers have never heard of and then the grumpy old photo-editor has a chance to do a loooong history lecture – everyone loves it when this happens! Team spirit. Friendship, knowledge sharing, a fellow soul to chat with at the different gigs. This makes a great difference I feel, being part of a team and often we have 2 photographers at some of the larger events meaning you always have someone to chat to, hang with, ask questions and compare work with. If you are covering a 6 hour event alone it can get a bit lonely I feel, and having 1-2 kindred photographers around you is great. Feedback. Ideally, I would have time every day to give personal feedback to every photographer on their pictures from the day before. In reality, this is really hard to fit into the day and I have not quite managed this yet, I need to somehow improve this next year. There is just not enough hours in a busy festival day, the photographers are busy developing and delivering pictures for the noon deadline and then the first events of the days starts soon after. And I am rather busy with receiving the pictures, downloading, uploading to our Flickr archive, scheduling, emailing, administration etc. Still, there must be a way surely for me to do better feedback for next year. There were several moments during last and this years festival where I had to pinch myself that this was happening. I was actually part of the Strøm festival, and managing a team of photographers. In my former life (10+ years ago), I worked in IT for the Danish government and was head of an IT-department for 8 years so I got to dust off some of the old skills, which was much more fun than I would have thought. I must say that I was somewhat nervous last year, would this concept work at all? I had never run anything like this concept before and neither had Strøm, but it worked remarkably well and all photographers did an outstanding job and we had a wonderful week. Naturally, last year there were some things to sort out and improve and I spent at least twice as long preparing for this years festival compared to last year because…now my goal was to do it twice as good ! All the photographers from last year wanted to return for the 2017 festival, that must mean I have not scared them away completely. And I must say, it ran even better this year, and so did the festival itself, we had 4 outstanding, really fantastically good festival days. We spent more time socialising as a team this year, we were able to meet up most of us every day at the office or at the events and that made a big difference I felt. And everyone again blew me away with their images, really good work was being made and I really gotta thank the entire team for making my job easy and making me look good through your hard work, dedication and positive attitude (so that I can just sit at the office, be a grumpy old manager and make coffee and entertain everyone with my jokes, stories and rants!). I cannot wait for next year, I know there is still plenty room for improvement and lots of new ideas for expanding the concept. I would love to run a Music photography workshop at Strøm, I would love for how the team works to be documented as well with behind the scenes stories, I would love to be able to do daily one-on-one feedback, I would love to feature the team’s photo essays on a daily basis on the Strøm website and social media channels, I would love to … the list goes on! Skipper Røvskum, legendary Danish act, did a live concert on Amager Beach back in 2015 for Strøm. For once, we got really lucky with the weather! Can I just do this forever please? In the meantime, I am so immensely proud to be part of the Strøm team, I miss it like the desert miss the rain and I cannot wait till next time. Thank you so much to all the wonderful people at Strøm, and especially to my outstanding Strøm Fototeam over the past two years. See y’all again soon I hope. More Strøm pictures to follow in the next blog post, where I will also hopefully be able to feature some of my team’s pictures from this year. PS. Oh yeah, more Strøm, you know that my better half Charlene and I run the web-making-magic company Coffee and Magic and we are super happy that we got to make the new Strøm website earlier this year.